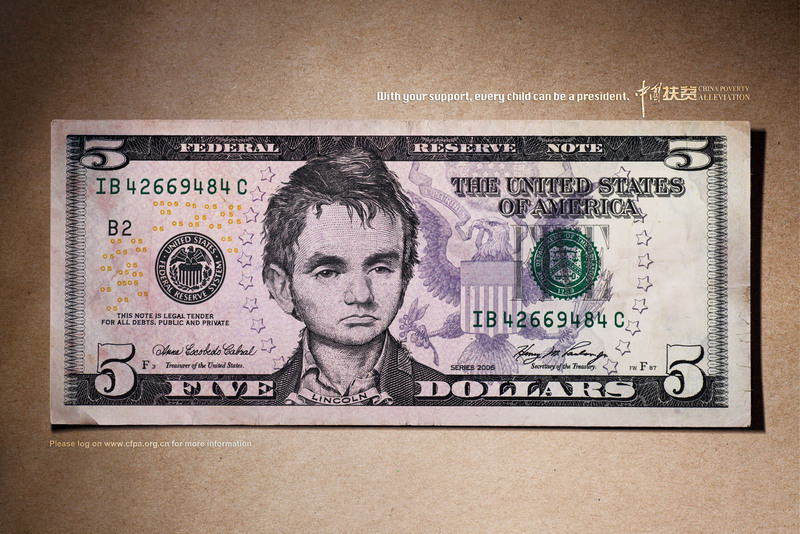 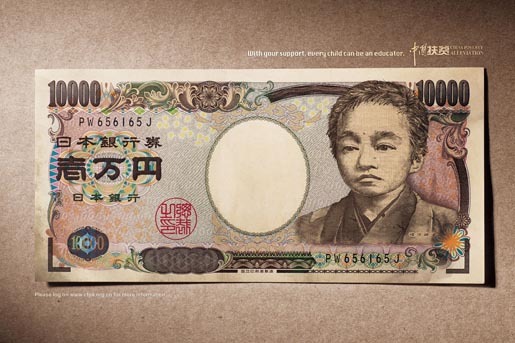 China Foundation for Poverty Alleviation earlier this year ran a print advertising campaign consisting of four banknotes with the pictures of children, along with the tag line, “With your support, every child can be a leader (educator, physicist, president)”. 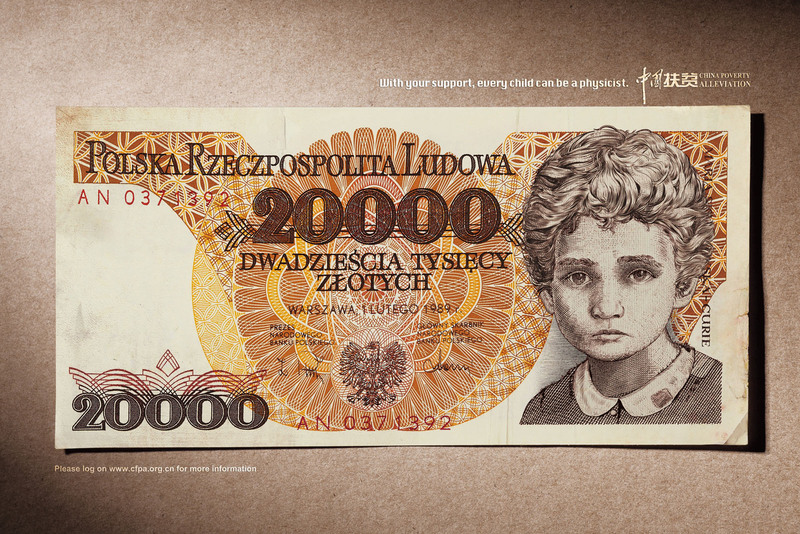 The series features Abraham Lincoln (president) on the US $5 dollar note, Marie Curie (physicist) on a 20000 Polish Zloty note, Sun Yat-Sen (leader) on the Taiwanese commemorative $100 banknote, Fukuzawa Yukichi (educator) on a 10,000 Yen banknote. 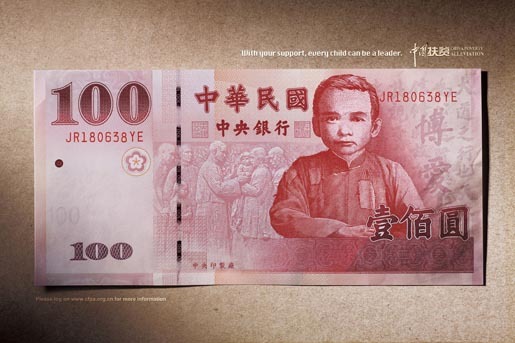 The Every Child campaign was developed at Cheil, Beijing, by executive creative director Jacky Lung, creative directors Yuming Fu, Shengxiong Chen, art directors Shengxiong Chen, Qianli Ma, copywriters Yuming Fu, Wei Xu, illustrator Yuehui Tang, photographer Yang Zhao.